Slump Cone 300mm high. Tapering from 200 to 100mm. Base Plate and Tamping Rod is sold separately. 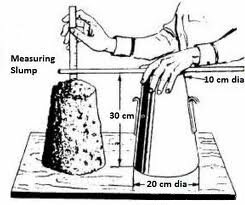 Slump test is used to determine the workability of fresh concrete. Slump test as per IS: 1199 – 1959 is followed.The apparatus used for doing slump test are Slump cone and Tamping rod. i) The internal surface of the mould is thoroughly cleaned and applied with a light coat of oil. ii) The mould is placed on a smooth, horizontal, rigid and nonabsorbent surface. iii) The mould is then filled in four layers with freshly mixed concrete, each approximately to one-fourth of the height of the mould. iv) Each layer is tamped 25 times by the rounded end of the tamping rod (strokes are distributed evenly over the cross section). v) After the top layer is rodded, the concrete is struck off the level with a trowel. vi) The mould is removed from the concrete immediately by raising it slowly in the vertical direction. vii) The difference in level between the height of the mould and that of the highest point of the subsided concrete is measured. viii) This difference in height in mm is the slump of the concrete. 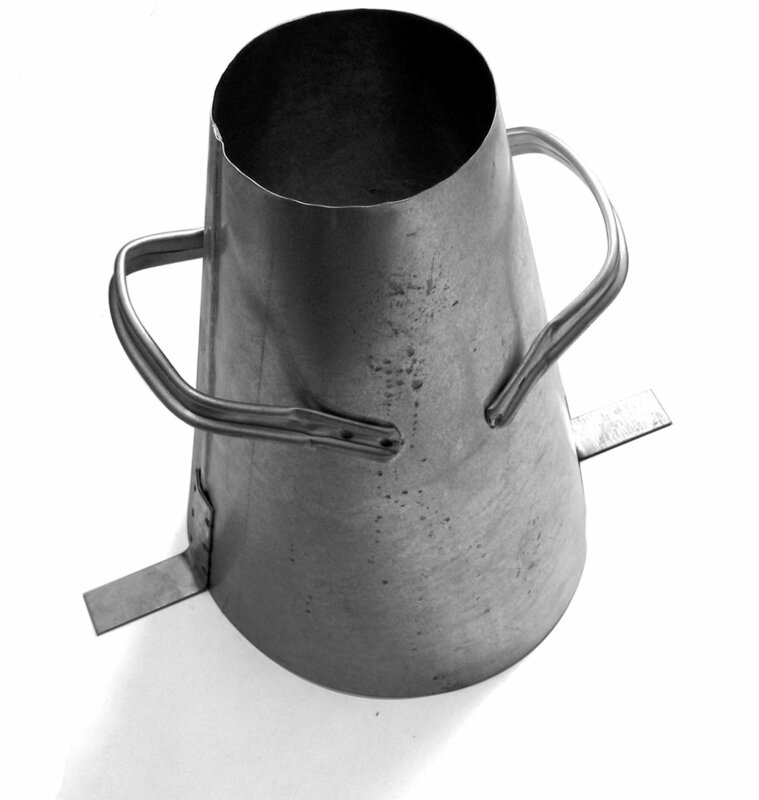 Slump cones are normal stock items and available for next-day delivery if ordered before 2pm.